We believe in dressing the modern man by creating timeless looks with an individual approach – whether it’s a tapered modern trouser paired with a double-breasted classic, or a pea coat in a fine modern cashmere. Whether you are entering your first job or you're established in your career, creating a classic wardrobe will keep you looking sharp throughout the years. 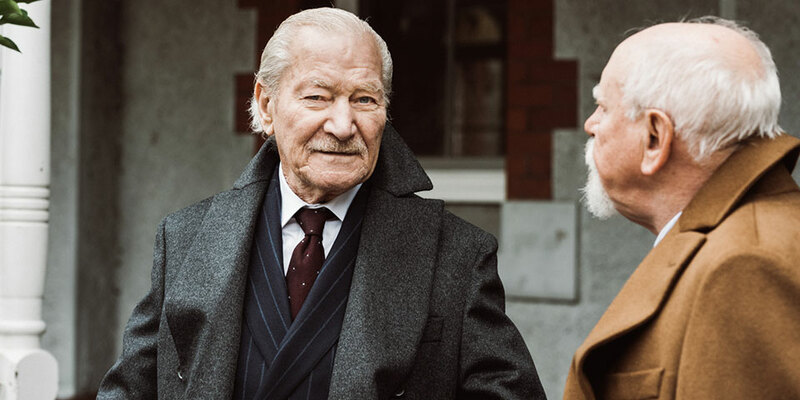 The campaign, shot on a winters day in Abbotsford, Melbourne captures two of Oscar Hunt’s clients shooting the breeze in Oscar’s made-to-measure wares, designed to reflect their personal style. The campaign stands out amongst menswear imagery, emphasising that real style is ageless. Oscar Hunt’s latest lookbook for 2017 features beautiful, weighted fabrics from Dormeuil and Dougdale Brothers, Shirting from Thomas Mason, Scarves from Alpaca Australia and Umbrellas from Pasotti.